Chenille Washable Dust Mop Slippers Only $3.59 SHIPPED! You are here: Home / Great Deals / Amazon Deals / Chenille Washable Dust Mop Slippers Only $3.59 SHIPPED! Durable chenille microfibers, washable and easy to use. Apply to cleaning floor, window or removing dust. 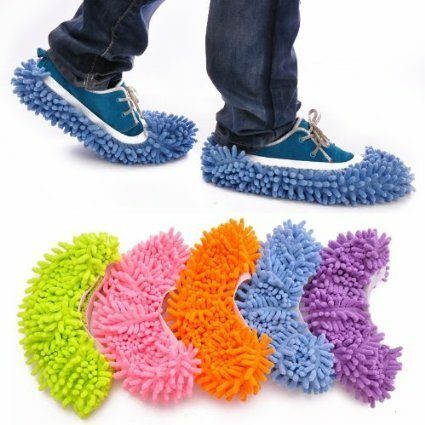 Multi-function mop slippers/shoe covers for everyday cleaning needs.